scanning and importing the original drawing. I also used the Wacom 4 tablet. 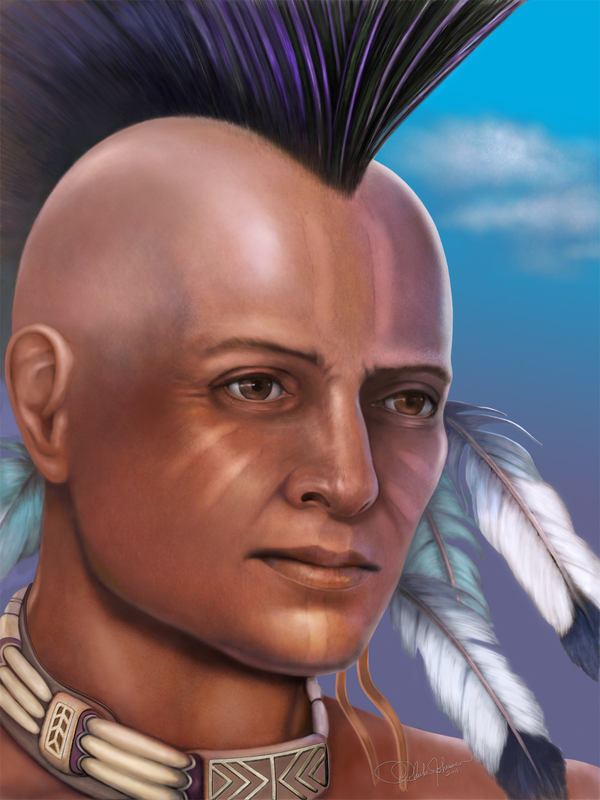 He represents an Ioway Native American and is a part of a series of Native American paintings that I am doing that reflect man in tune with the laws of nature. Modern man needs to know what these indigenous peoples know about being stewards of the earth.